President Roosevelt talks to war-weary Americans about their role in establishing a lasting peace. 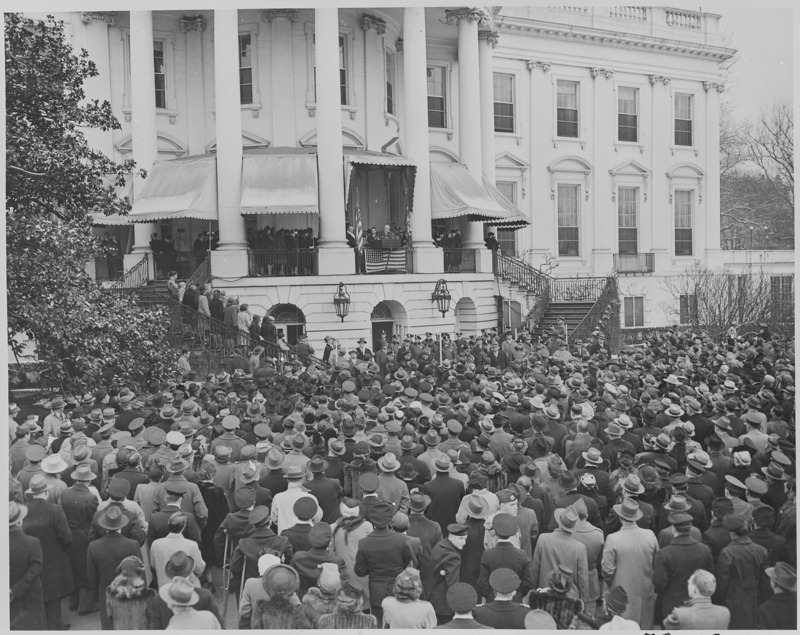 Having been elected to an unprecedented fourth term, on January 20, 1945, a visibly ailing President Roosevelt delivered his inaugural address from the White House balcony to the American people who had just endured three years of war. January 20-22, 1945 News articles about President Roosevelt’s fourth inaugural address. January 21-31, 1945 Editorials, op-eds, letters to the editor, and cartoons reacting to President Roosevelt’s fourth inaugural address. Breitman, Richard, and Allan J. Lichtman. FDR and the Jews. Cambridge, MA: Harvard University Press, 2013. Newton, Verne W., ed. FDR and the Holocaust. New York: St. Martin’s Press, 1996. Rosen, Robert N. Saving the Jews: Franklin D. Roosevelt and the Holocaust. New York: Thunder’s Mouth Press, 2006.